Turkey has arrested a Belgian man of Moroccan origin, suspected of being involved in the Paris attacks that left 130 people dead and over 350 injured. Two alleged accomplices were also arrested, according to a government official. Ahmet Dahmani, 26, was arrested at a luxury hotel in the southern coastal city of Antalya on Saturday, after traveling from Amsterdam on November 14, an unnamed Turkish official told Reuters. "We believe that Dahmani was in contact with the terrorists who perpetrated the Paris attacks. The investigation continues," the official said. According to Turkey's Dogan news agency, the suspected Islamic State (IS, formerly ISIS/ISIL) operative is believed to have scouted out targets for the Paris attacks. Two other men – both Syrian – were detained on suspicion of planning to help Dahmani cross safely into Syria. 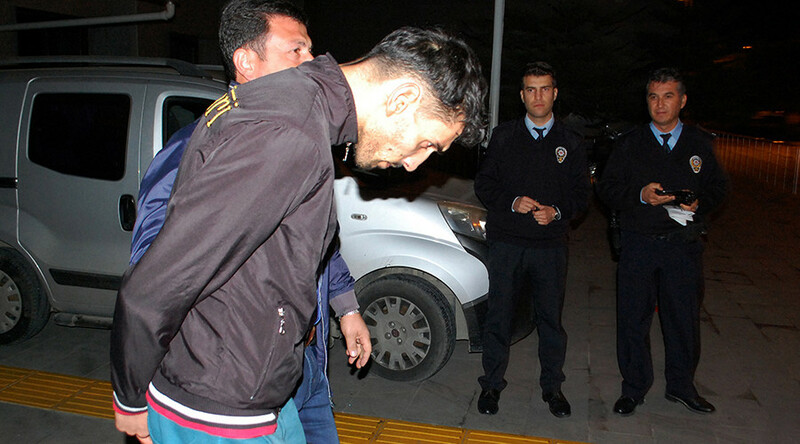 The accomplices, identified as 29-year-old Ahmet Tahir and 23-year-old Muhammed Verdi, are believed to have been sent by Islamic State to ensure his safe passage across the border. Belgian authorities had not warned Turkey about Dahmani, and so he wasn’t on the list of 26,600 names prohibited entry into Turkey. The list, which is maintained by Turkish authorities, is largely based on foreign intelligence. "Had the Belgian authorities alerted us in due time, Dahmani could have been apprehended at the airport," the official said. The arrests come after Turkey vowed earlier this month to “act militarily” against Islamic State, following October’s bombings in Ankara that left 102 people dead. Earlier this week, US Secretary of State John Kerry announced the US was launching an operation with Turkey to finally secure the country's border with Syria. "The entire border of northern Syria - 75 percent of it has now been shut off. And we are entering an operation with the Turks to shut off the other remaining 98 kilometers," Kerry said in an interview with CNN. Turkey has been the main transit route for foreign militants attempting to join Islamic State, and for IS jihadists wishing to return to their countries of origin.